Top quality crisp seersucker cotton boy's suit jacket and slacks from Lito. Light blue and white stripe. 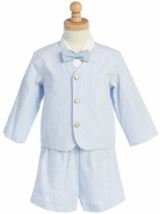 The set includes a lined suit jacket, elastic waist slacks, long sleeve dress shirt and long tie. 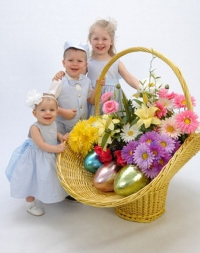 Popular for beach and outdoor weddings - also a very cute Easter outfit. Made in USA. 100% cotton for the jacket, slacks, and long tie. The shirt is 65% cotton and 35% polyester. Allow 3 business days prior to shipment and add shipping time in transit to this.
. Note - Sizes 5 and 6 each have 3 buttons for the jacket. 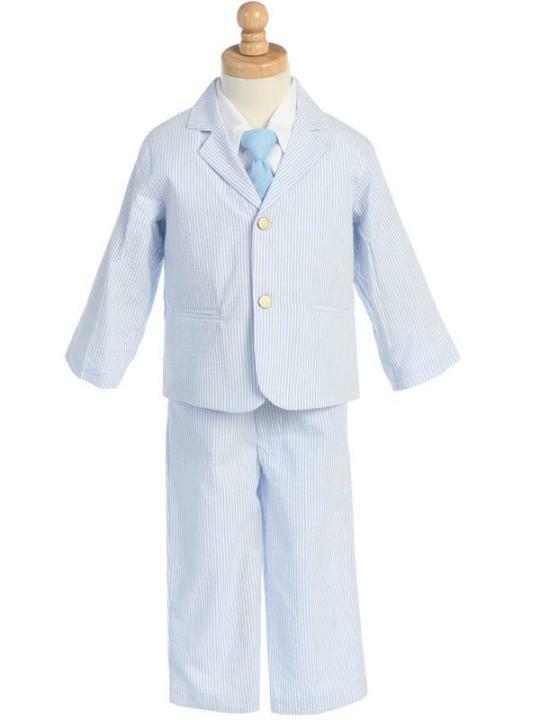 This classic seersucker suit was the perfect choice for our customers handsome son 'to wear for the Easter Egg Hunt on the White House Lawn.